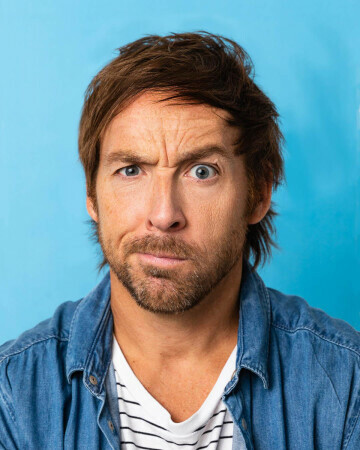 Eddie Ifft is an insanely busy comic coming back to Bozeman after an eighteen-year hiatus. We were pretty surprised to see an ad on Facebook for Eddie’s upcoming Bozeman show, since in the early 2000s I brought him to Montana State University for two comedy shows, a night on the town with the ASMSU Campus Entertainment office, and a video-game-playing after party at our house. I spoke to Eddie via phone from Australia where he was in the midst of a 29-day comedy run with a bunch of surfing mixed in. Eddie loved Bozeman so much on his last visits, he’s coming back for a one-night stand at the Rialto on Friday, April 12, 2019. AR: So what’s funny these days? EI: What’s funny that you’re allowed to talk about? I don’t think anything. But, I think the pendulum is swinging back. I call my show Walking on Eggshells, but the truth is I’m just smashing them because I think it’s all just a bunch of hypocrisy. Outrage culture is just about boredom. Everybody likes to be better than everybody. “I’m better than you because I do this, or I don’t do this.” But, then you find out everybody has something wrong with them. I just look at like if your offended, that just made ten other people laugh really hard. So what’s Bozeman like now? Is it still a hippy town? Or have all the rich people moved in and gentrified it all? EI: Because that always happens to cool places, and they ruin it. AR: It’s pretty much what’s happening. EI: And, then they go from being hippies to hypocrites. So, they’ll tell you you have to recycle, but they’ll drive their Range Rover to the recycling center. AR: And, they’ll leave it running while they recycle. EI: That’s exactly what it is; they are just giant hypocrites. AR: So where would people know or recognize you from? TV shows? Eddie’s Wodcast Podcast is what spurred this trip to Montana. “The #1 most fun and elite podcast on the internet about CrossFit.” A Bozeman CrossFitter was talking to one of the podcast’s sponsors, and they worked it out to bring Eddie to town. I promise he won’t just talk about CrossFit though, he’s cultured like that. Local comics Jeffrey Strock, Danielle Rovira, Garrison Choitz, and Zachary Martinez will open the 18 and over show, A Night of Comedy with Eddie Ifft, at the Rialto Friday, April 12, 2019: doors at 8, show at 9 p.m. Tickets are $15 at the door, or in advance at http://rialtobozeman.ticketfly.com/ Get ready to be entertained!